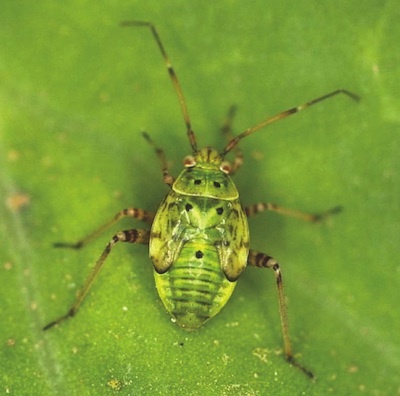 When sweep netting for lygus, include late instar nymphs — the ones with black dots, as shown above — when doing counts for thresholds. Sclerotinia stem rot risk is still high in most regions. Fungicide labels allow for spray up to 50% flower. Spraying this late may work well if the crop seems to be flowering for a long time or the crop is at various stages — two scenarios that can extend the time at 50% flower, and also increase the disease risk. When would late applications work for sclerotinia? Fungicide labels allow for spray up to 50% flower (some are up to 30%). 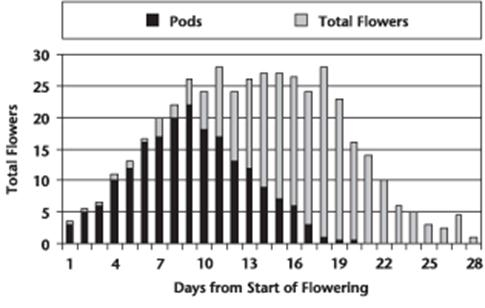 Spraying this late may work well if the crop seems to be flowering for a long time, or the crop is at various stages — either scenario leading to an extended time at 50% flower. Extended flowering does extend the vulnerable period for sclerotinia stem rot infection. Also if conditions were not conducive to disease at early flower but moisture has returned and the risk is elevated, spraying at the end of the window may be effective — especially if there is a lot of branching or recovery from heat or drought stress which could extend flowering. Keep in mind pre-harvest intervals for fungicides and insecticides now that many early seeded crops are less than a month from swathing. Pre-harvest intervals vary widely from product to product. Canola petals can turn orange in response to stress, usually heat stress. There is nothing that can be done about heat damage. White or pale flowers can have many possible causes. An AAFC study has shown very clearly that with continuous canola, there is a statistically significant increase in crop damage by root maggots. No insecticides are available to control root maggot in canola, but providing a one year break seems to make a significant reduction in root maggot losses, the study found. Fields that have received lots of rain may be showing sulphur deficiency. Rain leaches sulphur lower in the soil profile. Plants can usually access this leached sulphur later in the season, but the roots have to reach that far. Often with heavy rain throughout the season, plants will not root as deep. In this case, a top dress up to 10-20 pounds before or even at flowering can help. It’s mid July, and some very early canola is already being swathed in parts of Manitoba. Waiting until 60% seed colour change on the main stem will result in the highest yields because more seeds have a chance to fill completely.